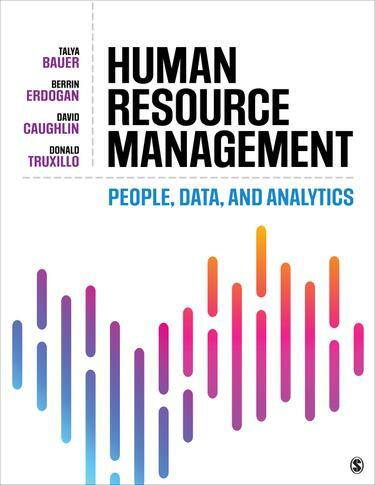 Human Resource Management: People, Data, and Analytics by Talya Bauer, Berrin Erdogan, David Caughlin, and Donald Truxillo introduces students to the fundamentals of talent management with integrated coverage of data analytics and how they can be used to inform and support decisions about people in an organization. Features tied to SHRM competencies and data exercises give readers hands-on opportunities to practice the analytical and decision-making skills they need to excel in today and rsquo;s job market. Engaging examples illustrate key HRM concepts and theories, which brings many traditional HRM topics concepts to life. Whether your students are future managers or future HR professionals, they will learn best practices for managing talent across the lifecycle in the changing workplace.